I didn’t buy any fabric. I started my first try at a Wild Onion jacket. I shopped my stash for the fabric, which was a total of 8 yds. 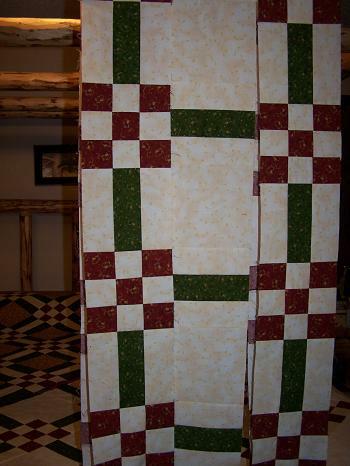 If you click the link, it will take you to my post about it, with pics, and I’m asking for advice on the filler quilting. I’d love to hear your thoughts. I’ve made good progress on my Eleanor Burns 9P & Stripes quilts. I’m three rows further along on the darker one. I have those rows sewn for the lighter one, just not attached to each other, or the rest of the top. I’m really enjoying the process on these. Taking my time, and really enjoying the piecing. 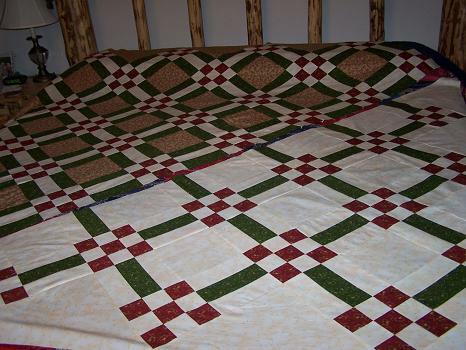 They are coming together nicely, and I love it when I remember that when I am finished, I will have not one, but two king size tops to quilt. How cool is that!? That will move a nice chunk of stash. I’m going to try to do the backings from stash. I’m pretty sure I have suitable backing for one, but I’m not sure about both. In knitting news, I completed two gift scarves, and both were well received by the recipients. Of course, one was my Mom, & she loves everything I do 🙂 I’m still working on a special prayer shawl, and am getting close to having it completed, also. My starting weight this week was 150 lbs. My ending weight this week was 148 lbs., for a loss this week of 2 lbs! Yea! My total weight lost is now at 6 lbs. I managed to work out six times last week. My son’s wisdom teeth extraction going so well. Having a great weekend with my family. 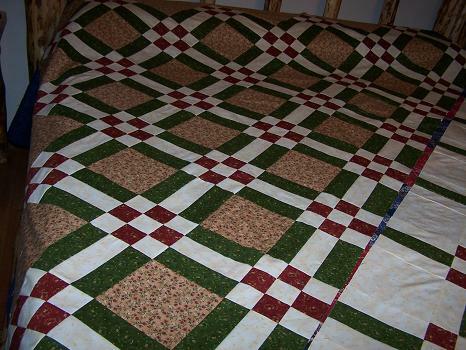 I love your quilts Randi. Congratulations on the 6 pound weight lose. A great week all around! Congratulations! Both of your quilts are beautiful! And great news on the weight loss. Have a great week!! Ugh, I need to piece another king size quil for my bed and here you are doing two! I’ve been putting it off for over a year and a half. These are coming right along.